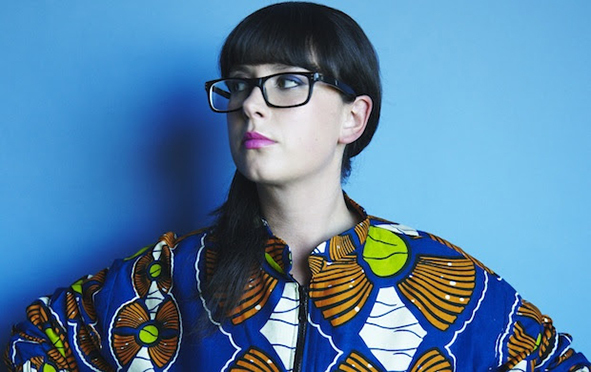 Earlier this year Sydney-born Caitlin Park released her second album, The Sleeper. The album has received fantastic reviews and was Album of the Week both on FBi Radio and Double J. Back in March, we spoke with Caitlin about using sampling in folk music, finding yourself through travel, and how awesome Canada is. See below for updated The Sleeper tour dates! Hey Caitlin, how’s it going? Besides your cold how’s your 2014 been so far? Really good, really exciting and really really busy, and starting to get busier..
Do you have any training methods if you have a bit of a cold? Yeah, well I pretty much lost my voice yesterday because I’d been a bit sick and also doing a lot of a rehearsing. Yesterday it was gone so I just didn’t speak to anyone, drinking heaps of ginger tea, eating ginger, gargling betadine, a whole range of things. I’ve tried explaining what you sound like and have trouble pinpointing or describing it. How would you describe your own music? It’s generally a question I respond to with a kind of screwed up face, it’s hard to explain but almost harder for people to understand it unless they’ve heard it. I usually say it’s folk as it’s in that kind of genre, but I think the new record is a lot more pop, and also I say it’s using more samples and sound effects, and that’s when people start to furrow their brows and not really understand what I’m talking about at all. But yeah, I think on the first album, a lot of the samples that I used were more folk, from vinyl and film, and that kept it in a weirder state structurally. On the new record there’s not actually any samples used in the first single (Hold Your Gaze), but there’s a lot in the album. It’s used a bit more in the ways that hip hop uses it, more set on a beat or repeated in certain places. It’s complicated. So was there anything which inspired you to incorporate more sampling? Basically I spent a year after I put out the first record, wanting to travel. I played a lot of shows but I didn’t write that much. I just wanted to experience things, so I went away and travelled in England and to New York and did a lot of sampling there, recording with different devices. I did a lot of recording in London, most of it was for the new record, and of people in Times Square in New York, things like that. I started to build up this library of samples, these clips of things people said or sounds that can be used to really further the conceptual idea of the record, which was different to milk annual which was a pastiche put together of songs that I’ve written, whereas all of this was written with intent to symbolise the concept as a whole. Were you planning on your second album being a conceptual one? Like was that something you always wanted to do? I think I definitely wanted it to be a bit more considered. The idea in Milk Annual was to get into a genre of music that people don’t know about. There are bands all over the world that use sampling like this, in folk music, but I wanted to step into that genre and a bit more into the style of creating soundscapes rather than just writing songs. I think song-writing is really really hard, and to do well, it’s a really difficult thing to get a song right. Sometimes it’ll take months to get a song together and sometimes it comes to you in five minutes, to start luring the listener into a soundscape where they’re completely embodied by what the song is about using sound sets and sampling is a whole other challenge, so I wanted to carry it on but make it a little bit more considered, which is a big progression from the last record to this one. So is it the kind of album you’ll encourage people to listen to from start to finish? Yeah, absolutely. It’s something that a lot of people don’t do. The nature of the industry has changed so much even since I put out my first record, people used to be obsessed with the idea of owning the physical CD , and now something that’s becoming more and more important is owning vinyl. The majority of people don’t even consider the fact that an artist puts a piece of work together as something from start to finish. Me and a team of people that I work with, it took us a very long time to come to an agreement of what the track listing is gonna be. It obviously comes down to me, but the people around me I have great respect for and I wanna hear their opinions. A lot of people don’t do it anymore but I would highly encourage the listener to listen to it from start to finish. So was it difficult then to choose singles to release before the album? Yeah it was. There’s a lot of big songs on the record. Hold Your Gaze was a pretty stand out single and it was the last song I wrote for the album which was recorded and mixed in March last year, so it was a real add on piece. I started writing the song in the UK in May last year and finished it off in Sydney. It was interesting to have that difference because when I wrote the whole record I was living in Sydney and then I was in the UK and started to write this song that was very folk, very traditional, because that’s the kind of vibe that the UK really gave me. I was travelling in the country a lot and that’s what people were really listening to there. So it was inspired by that, and as soon as I got back to Sydney it was all about big drums and big choruses because of the vibrancy of Sydney and hustle and bustle of the city. So yeah, Hold Your Gaze was the first single but it’s going to be interesting to watch the dominoes fall. It’s interesting to see what people are drawn to. The majority of people who’ve heard it so far have different opinions of where they find the album the warmest or most vibrant. Everyone’s got a different choice of songs which is really interesting. I’ll be interested to see what is the most popular. So the album comes out in May. Is it all ready to go? Yeah, we’ve just gotta get everything right, I guess. We’ve gotta shoot some film clips, and basically I’m just concentrating really hard on the live set. I’ve got a really great band for the release of the album which is really exciting, we’ve got the first show, which is the single launch, on Friday in Sydney. We’re all ready, it’s pretty much me in the corner being really excited and a little bit nervous. Do you have any highlights from your travels? I really liked when I was travelling and trying to find myself, it was a really strange time for me. It was kinda lonely but something I think you need to do every so often. I really, really loved New York, the culture there is so warm and amazing, you walk around and there’s street artists and musicians. A lot of the street performers in New York physically made their own instruments with their hands which I thought was really inspiring, I did a lot of sampling of that stuff as well. I always tell people to go to the Nuyorican Poets Café which is lower east side, and you can go and watch a slam poetry evening hosted by a woman called Mahogany Brown. It was just the most incredible experience and inspired me to want to do spoken word, that was really cool. You always get so caught up in what you’re doing and what your friends, peers and colleagues around you are doing, and to step out of your zone and see other peoples’ lives can make you a better artist and performer, with more to offer. If you could play anywhere in the world, where would you play? Good question! I really wanna go to Sweden, probably Stockholm, I’ve always really loved the idea of Scandinavia in general, I’d really like to go and play in Norway and even Iceland. I really wanna play everywhere in Scandinavia and everywhere in Canada. I’ve always had this obsession with Canada and I know nothing about it, I haven’t even tried to. But I know it’s a place I’ve always wanted to go and there’s just something that makes me think I’d have a really amazing experience there. There has to be something going on there. Yeah there’s definitely something in the water there, you can’t deny it, it’s very very true. I don’t know anything about it, I know a bit about the landscape and everyone I’ve ever met from Canada is someone I’ve wanted to get to know and maybe that is just because they are Canadian, I dunno, but you start to get the flavours of music that come from that country and you know there’s something good going on there.